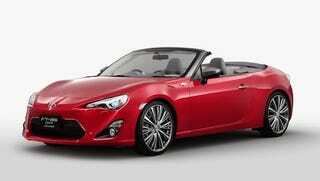 Toyota FT86 Open concept, in Flash Red for added awesomeness! Toyota will be showing this in Tokyo. They HAVE to build it or else the world will be a duller place.